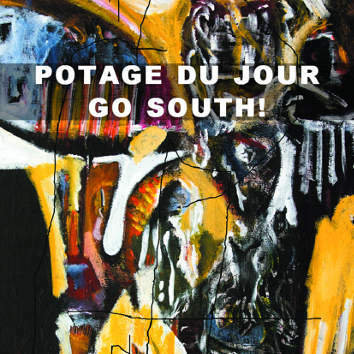 LEO RECORDS: CD LR 706: Potage Du Jour; Fanziska Baumann, Christoph Baumann, - Go South! The Swiss improvising trio Potage du Jour was born 14 years ago (their first CD on Leo Records was released in 2005). Franziska Baumann (voice), Christoph Baumann (piano) and Jurg Solothurnmann (saxophones) have coined their distrinctive sound and style of instant composing based on their vast experience in jazz and free jazz, classical and new music, live electronics and ethnic music. The new release Go South! was recorded after a tour of South Africa and Mozambique partly in collaboration with the Cape Town composer Pierre-Henri Wicomb.